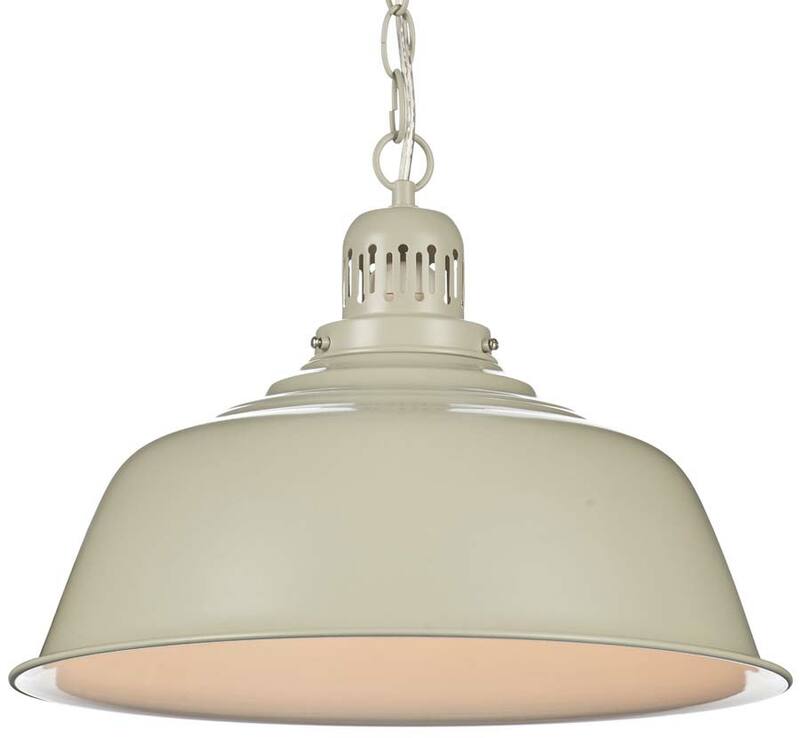 The Nantucket industrial style pendant light in putty cream, a contemporary take on a retro style, with a flared downward facing domed shade, cream chain suspension and matching finish circular fixing mount. The inside of the shade has a bright reflective coating to maximise light output and it is capable of accepting an energy efficient LED light bulb to help keep running costs low. 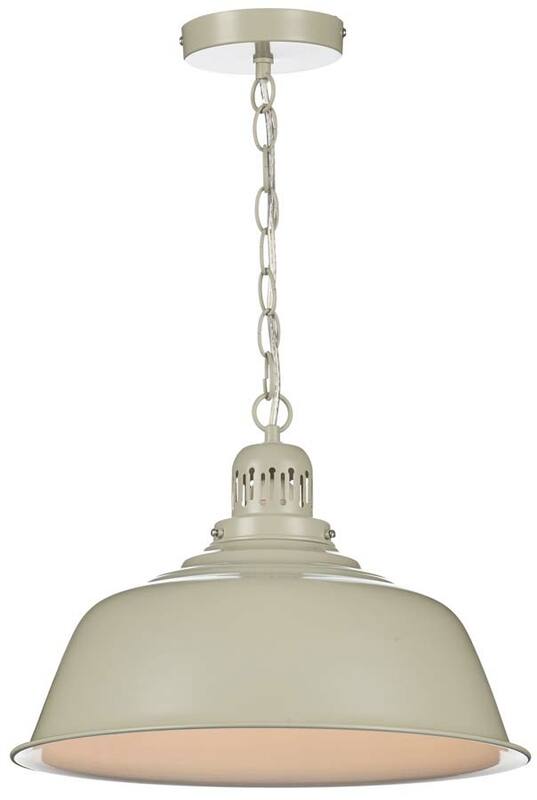 A great choice for kitchens or dining rooms and height adjustable at the time of installation by removing chain links. Minimum height 50cm, maximum drop 150cm. Other products in the industrial style Nantucket range can be viewed below and include a polished chrome ceiling pendant.